Download "VARDHMAN MAHAVEER OPEN UNIVERSITY, KOTA"
Admission Notification for Ph.D. Programme Session 2015-16 (ODD Semester) Poornima University, Jaipur announces admissions for the Odd Semester, Session 2015-16 for the Doctor of Philosophy Programme. 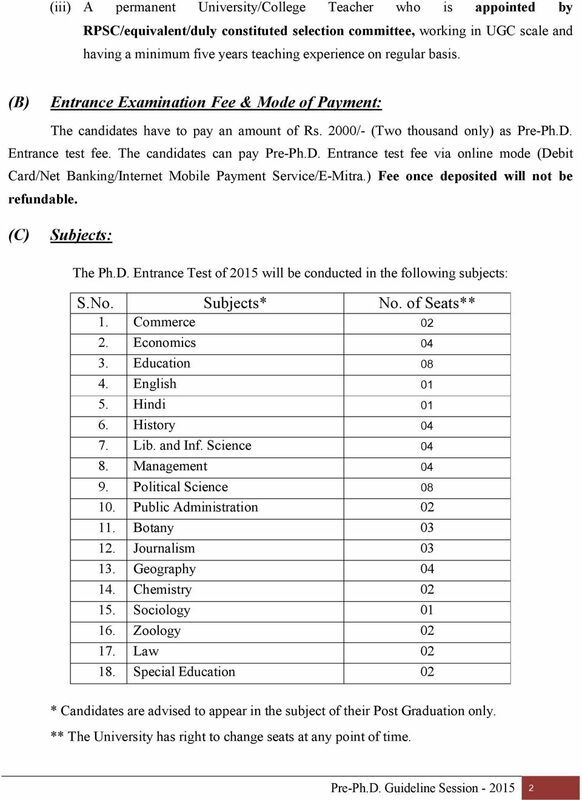 GURU NANAK DEV UNIVERSITY, AMRITSAR Ph.D Admission - 2015 Online applications are invited for admission to Ph.D. 2015 in various courses latest by 17/7/2015. For details consult University website www.gndu.ac.in. University School of Studies (USS) and Approved Research Centres (ARC). 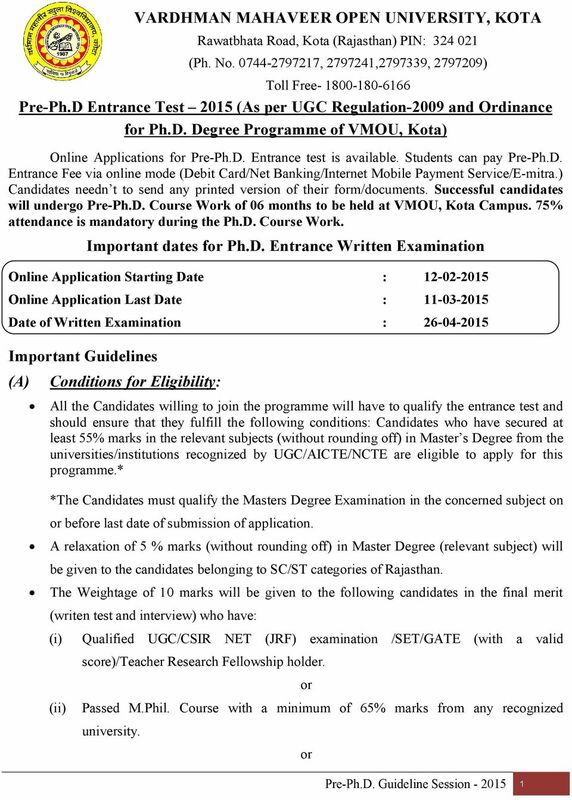 SREE SANKARACHARYA UNIVERSITY OF SANSKRIT, KALADY NOTIFICATION. 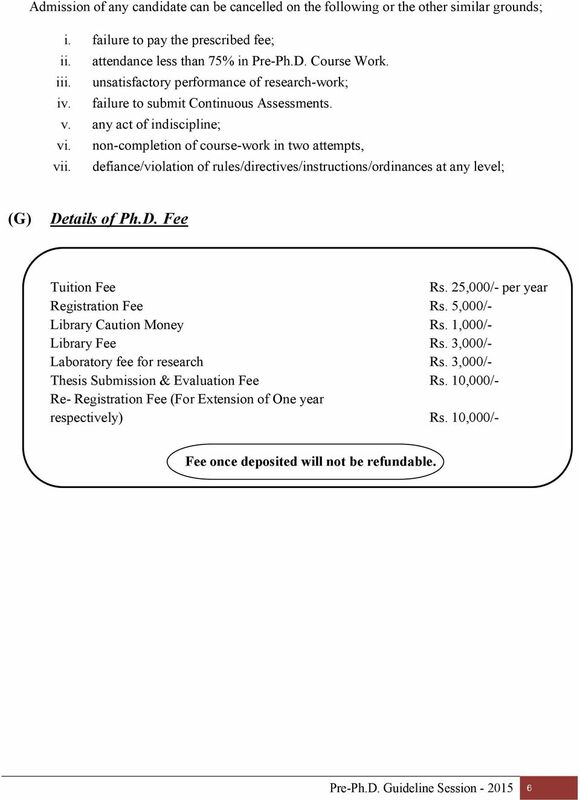 Admission to the M.Phil., Integrated M.Phil-Ph.D. and Direct Ph.D. 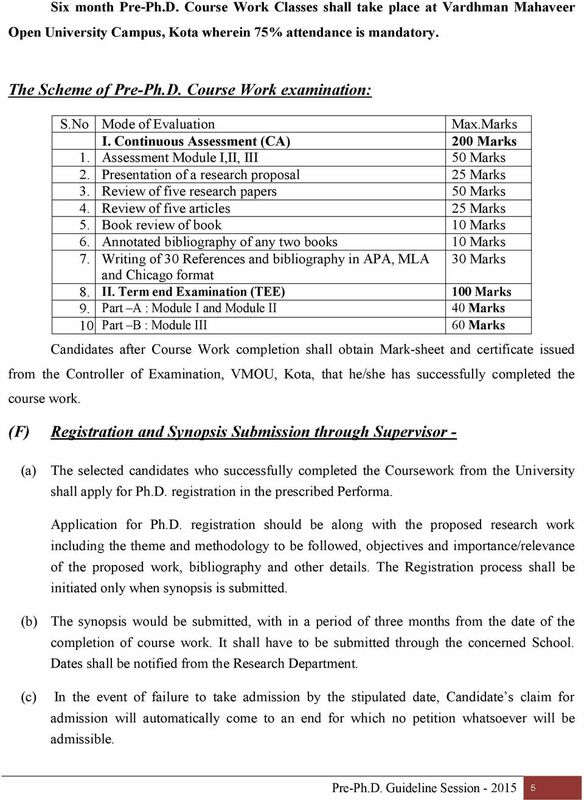 GUIDELINES ON RESEARCH PROGRAMMES AT VTU (Based on Regulations (Amended) Governing the Degree of Doctor of Philosophy (Ph.D.
RAJASTHAN TECHNICAL UNIVERSITY, KOTA Rawatbhata Road, Akelgarh, Kota-324 010 Website: www.rtu.ac.in, Email: rtu.dat@rtu.ac.in, Ph. Serial No. : APPLICATION FORM AND PROSPECTUS MASTER IN EDUCATION SPECIAL EDUCATION (MENTAL RETARDATION) (One Academic Year P.G. Course) Recognized by : Rehabilitation Council of India, New Delhi and W.